Summer has officially arrived in Seattle! While we've had a few hot summery days already, it never quite feels like summer here until the 4th of July. This year, the 4th fell on a Wednesday, making for a strange work week. Since Andy decided to work for part of the day on the 4th, we had a low-key holiday, and with the heat I was pretty happy to spend the day inside in the comparative cool. Our official 4th of July celebration wasn't until Saturday, when we spent the day on Whidbey Island. Even on the hottest days, the deck at the cabin on Whidbey is a wonderful spot, with a cool breeze coming off Puget Sound. We only stayed for the day, and our short visit had Andy and I itching to get back for a longer stay. 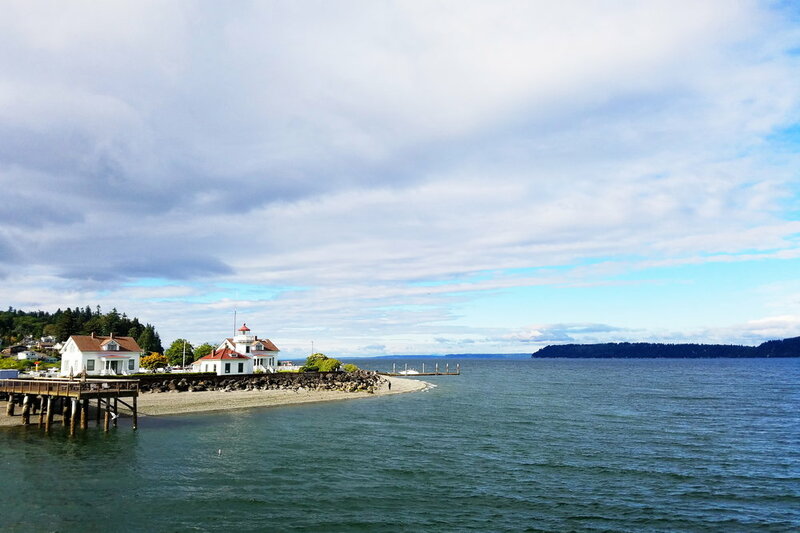 Every summer, we talk about how nice it would be to spend a full week on Whidbey Island, but we can never seem to find the time. Somehow there's never enough time in the summer! It was another marvelous week, starting with our annual 4th of July on Whidbey. On the 4th, the tide was extremely low, and while there are no tidepools on our strip of beach, there were still all sorts of interesting things to see. My dad, a marine biologist, was with us which meant we were actually able to identify many of the creatures we found. Early in the morning, Andy set out the crab pots and managed to catch two crab, which we took home and ate on a delicious caesar salad. Midweek, we finally managed to squeeze in a short post-work hike in a nearby park neither of us had heard of - Soaring Eagle. The trails were lovely and well-maintained, and if I lived a little closer would make an excellent place for evening trail-running. Even with the 30 minute drive, I'm sure I'll be visiting the park again soon! Friday morning, we were up bright and early for a flight to Oakland and a much needed visit with Andy's sister Erika and her family. Most of our weekend was spent relaxing at their house and playing with our niece, just the way I like our visits. The exception was our Sunday afternoon, spent at a Sonoma winery with a group of Erika's friends feeding the resident fish, playing games, sharing a picnic, and drinking some (almost certainly too much) excellent wine!